Explanation under the instrument is now automatically chosen when you click on the drop-down menu(s). 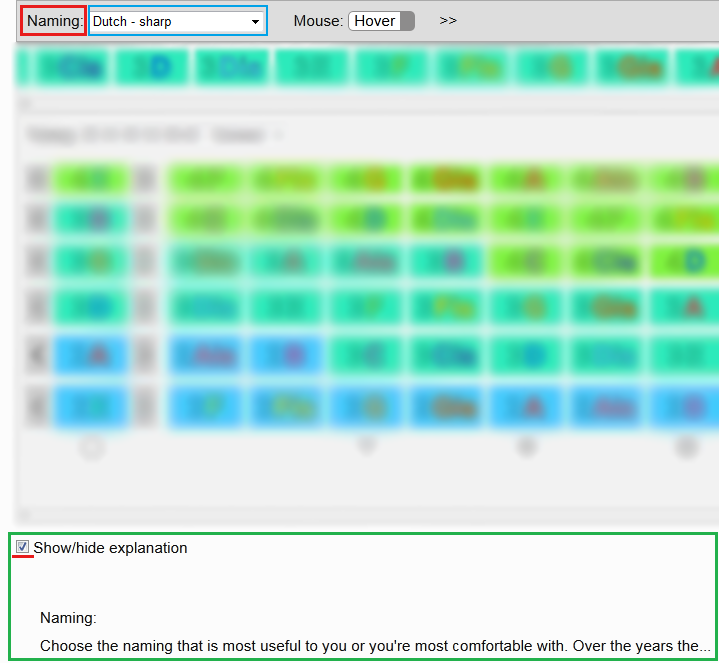 If you want that some explanation persist, click on the label(s) near to drop-down menu(s), like “Naming:”. To reset explanation persistence, click on the checkbox to Show/hide explanation. Words were wisely chosen that anyone can understand. I want to play Violin and this webpage was really very helpful,i hope you add more instruments in the future like Clarient and Oud (عود) so popular instrument in arab countries. thanks to Marko Kopač for this useful idea and Andraž Kopač for this nice website . 10x, nice to hear that. We plan to do the ukulele next and then we’ll see how the things will go..